Offering a proven formula for permanent fat loss, optimal health and all-round peak performance, the Zone diet has an estimated over two million followers worldwide. 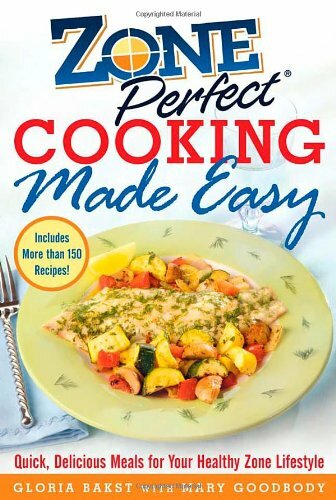 Zone Perfect Cooking Made Easy shows you how to stay in the Zone while enjoying delicious, easy-to-fix meals. It features 150 recipes from Gloria Bakst, whose work as the cooking and lifestyle expert at ZonePerfect Nutrition appears in the Cooking with Gloria section of ZonePerfect's well-traveled website. Zone Perfect Cooking Made Easy shows you how to adapt the Zone's 40-30-30 (carbs-fats-protein) formula to real food and your real life and supplies daily and weekly menus along with down-to-earth explanations of the latest nutrition research findings.